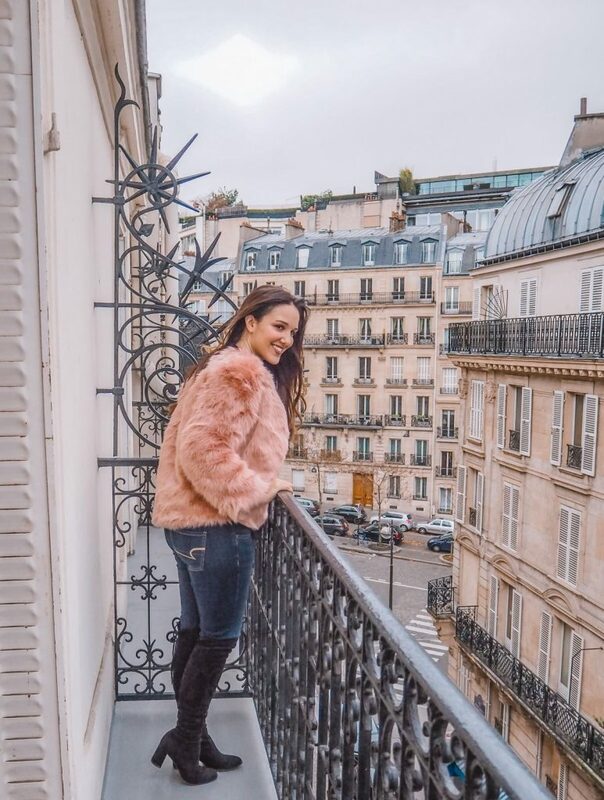 We were graciously hosted by Hotel Balmoral during our stay in Paris. All opinions are my own. 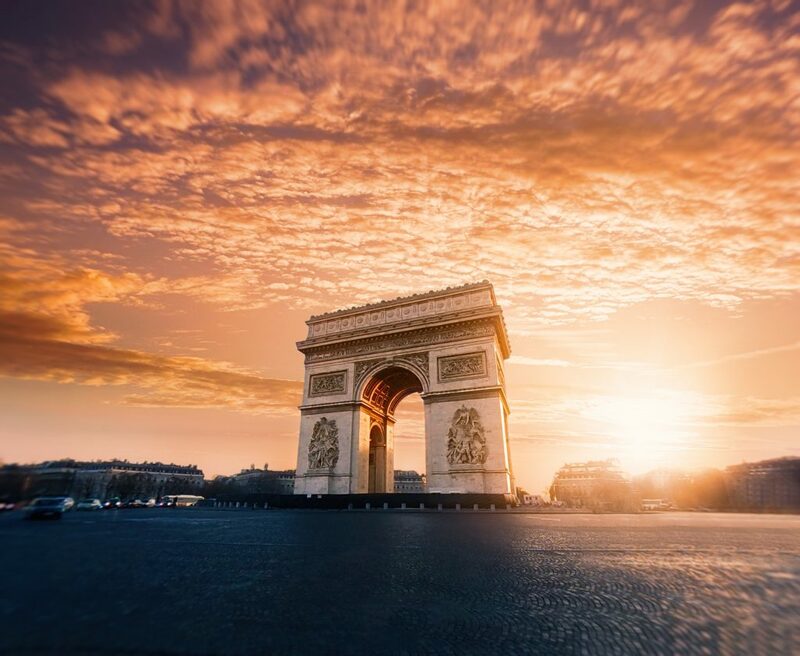 Looking for a hotel in a city like Paris can be a daunting task as there are literally thousands of hotels to choose from. 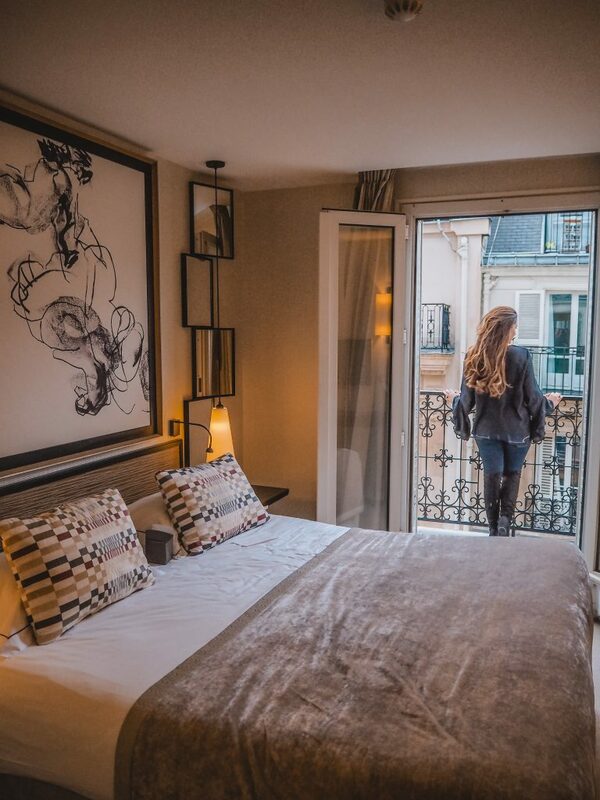 But if you are looking for a cozy and elegant boutique hotel, located at the footsteps of the Arc de Triomphe look no further than Hotel Balmoral. 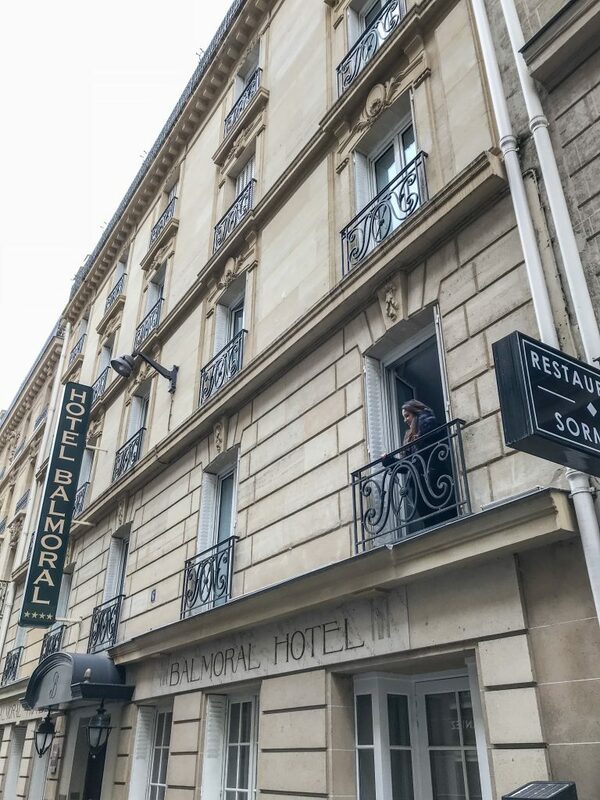 I’ve stayed in many hotels in Paris over the years, and the Balmoral was one of the best. The service, the room and the location all perfectly hit the mark and The Balmoral became our home away from home during our long weekend. 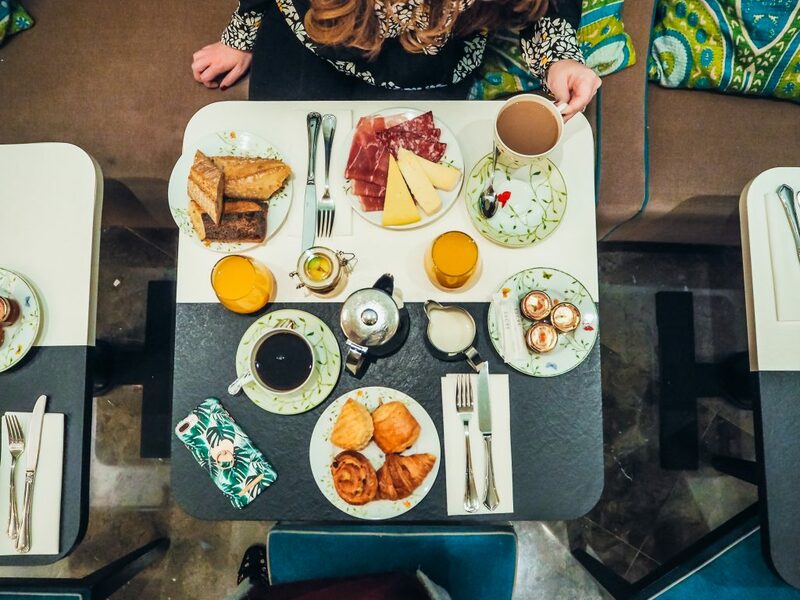 The hotel is the definition of Parisian elegance. 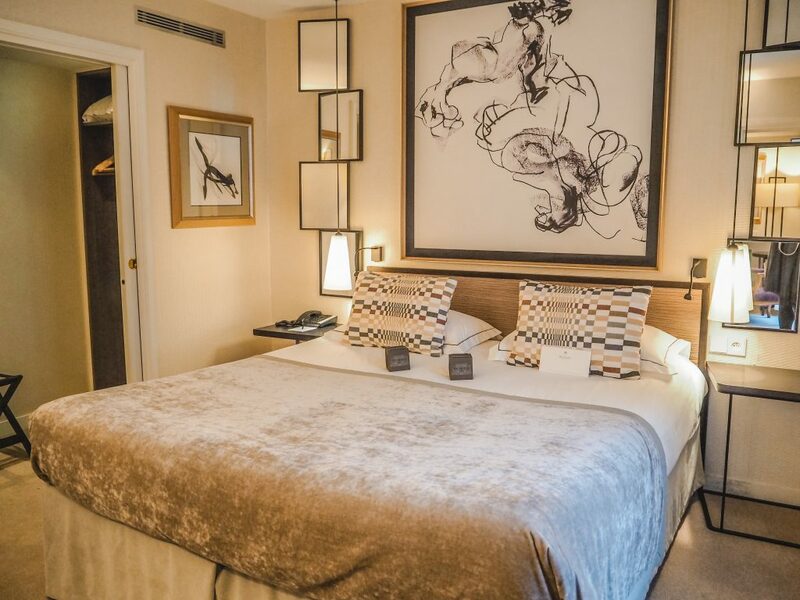 The hotel is meticulously decorated with contemporary art and period pieces. The room design is sleek, modern and refined. 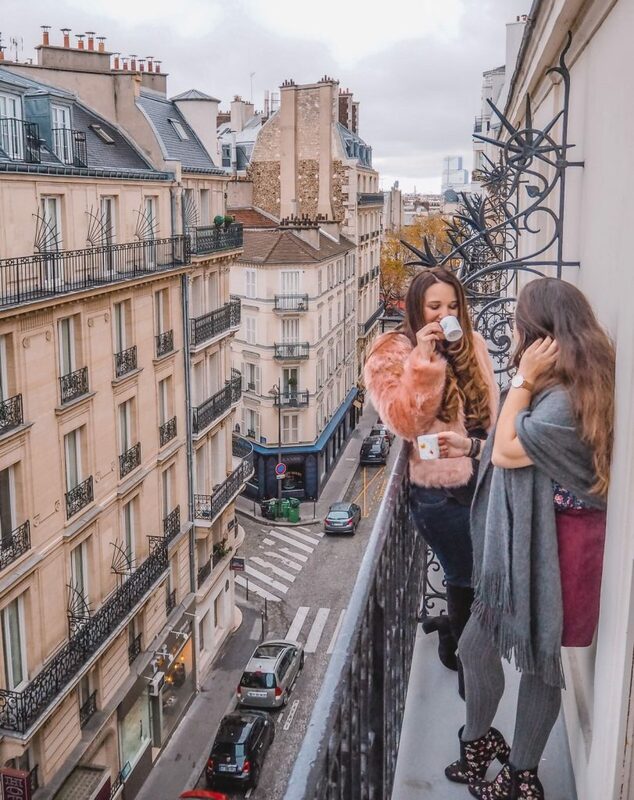 The traditional Parisian balconies add an elegant touch: there is nothing better than waking up and sipping a coffee on the balcony with a beautiful view of the city. While some of the most elegant Parisian hotels can feel a bit impersonal, The Balmoral immediately makes you feel like home. The friendliness of the staff and the coziness of the guest rooms go a long way to give The Balmoral a chic and welcoming vibe. 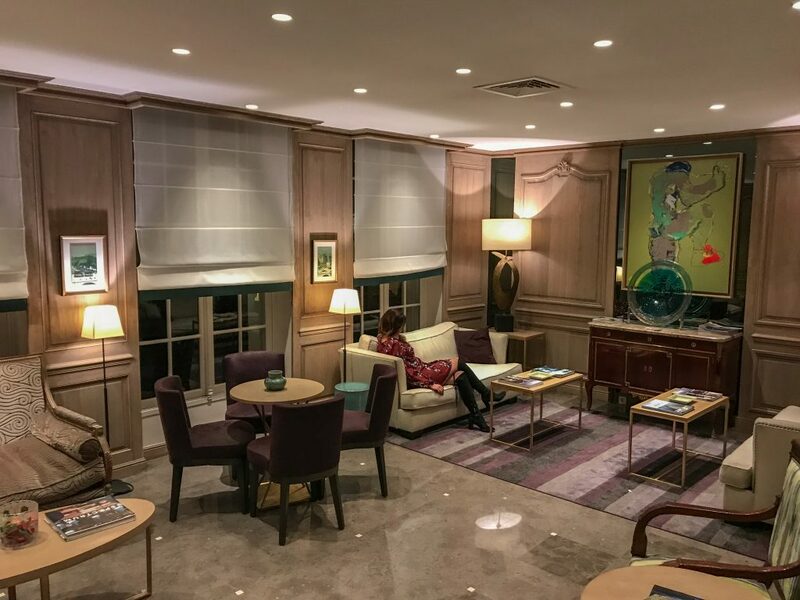 The hotel decor was sophisticated and chic – it was a perfect mix of sleek modern details and traditional Parisian elegance. Every mirror, lampshade and painting is strategically placed in the lobby and the corridors. Hotel Balmoral also has a typical Parisian courtyard right outside the breakfast area. It was too chilly to spend time outside when we visited, but the courtyard must be lovely to eat breakfast outside in the warmer months. Our room at The Balmoral was the perfect mix of cozy and chic. 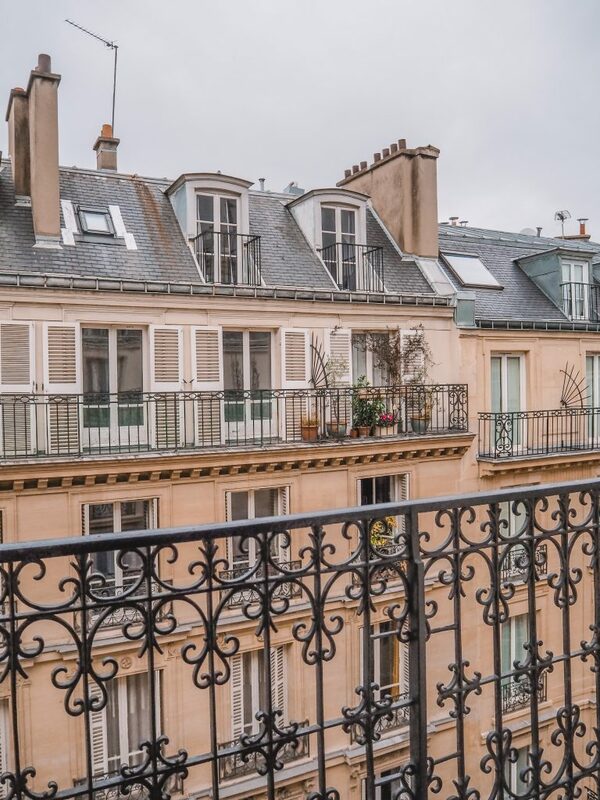 The large window overlooking a quaint Parisian street gave the room a lot of natural light. The bed was plush and incredibly comfortable, I never really wanted to get up. I fell in love with the modern bathroom design: the spa shower was heavenly in the morning with warm towels waiting for you on the warming rack. 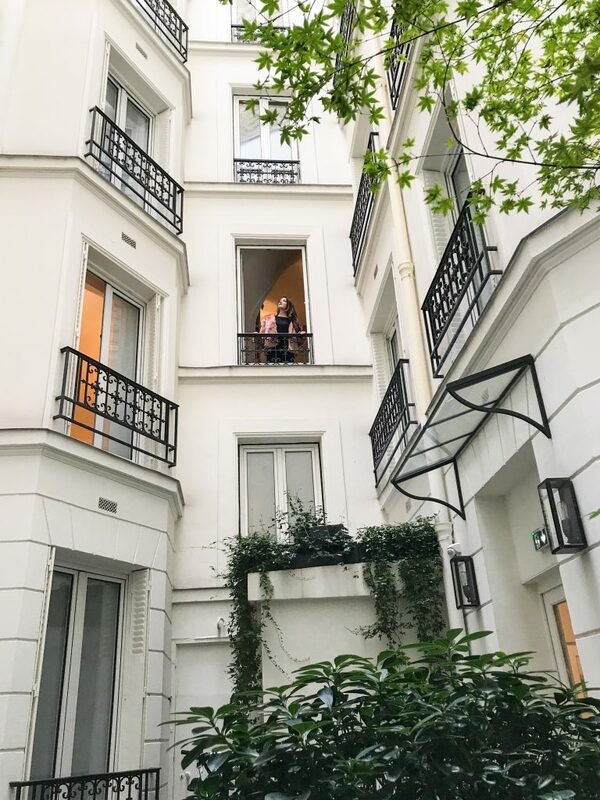 The Juliet balcony was in the room was perfectly Parisian chic. What a perfect place to grab a cup of coffee in the morning and enjoy the view. 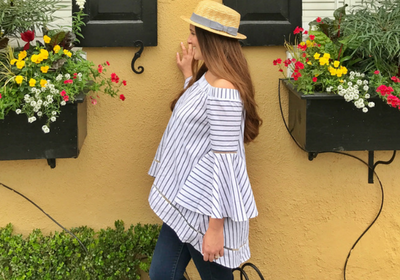 The room was also extremely well appointed, and every detail had been meticulously thought of to make our stay more comfortable. We found a pari of plush robes and slippers in the closet to wear when relaxing in the room. The hotel towels were large, soft and always warm on the towel warmer. The room had an expresso machine to make your own coffee if desired. 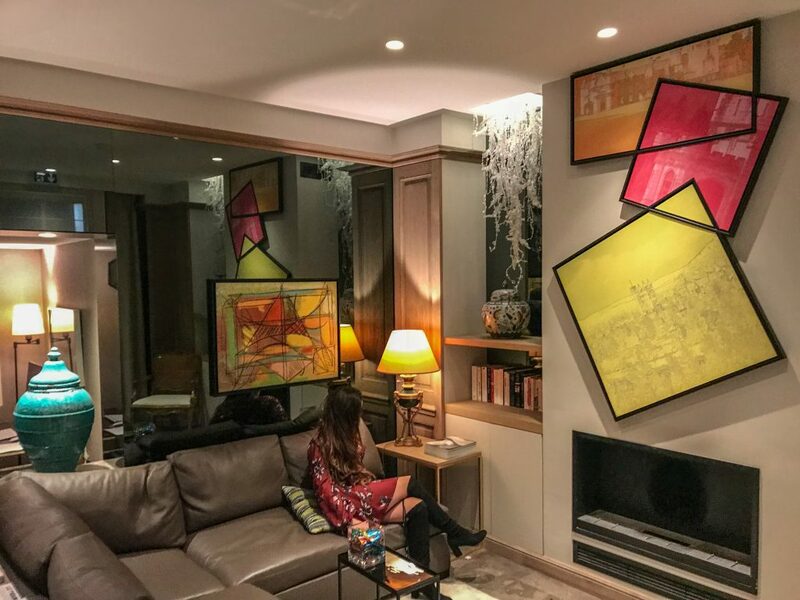 Finally, all the guests are given an iPhone with complementary wifi and data to use during your stay, which is incredibly useful to stay connected in the city. The breakfast at Hotel Balmoral was my favorite part of the day. 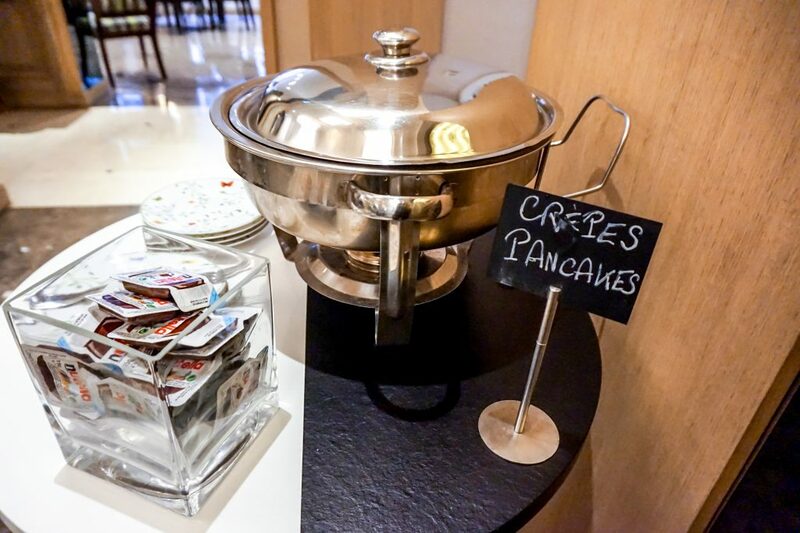 The breakfast spread included the perfect mix of sweet and savory dishes. 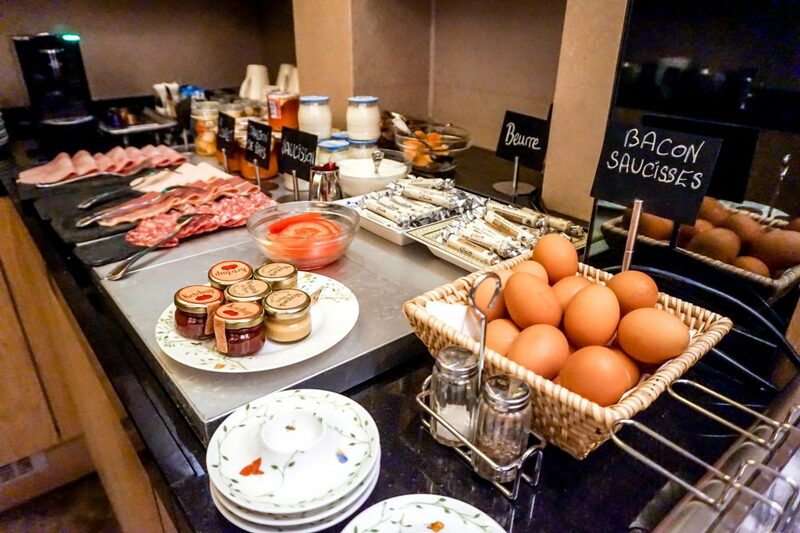 Breads and pastries (croissants and pains au chocolat), crepes and Nutella, scrambled eggs, bacon and breakfast sausages. 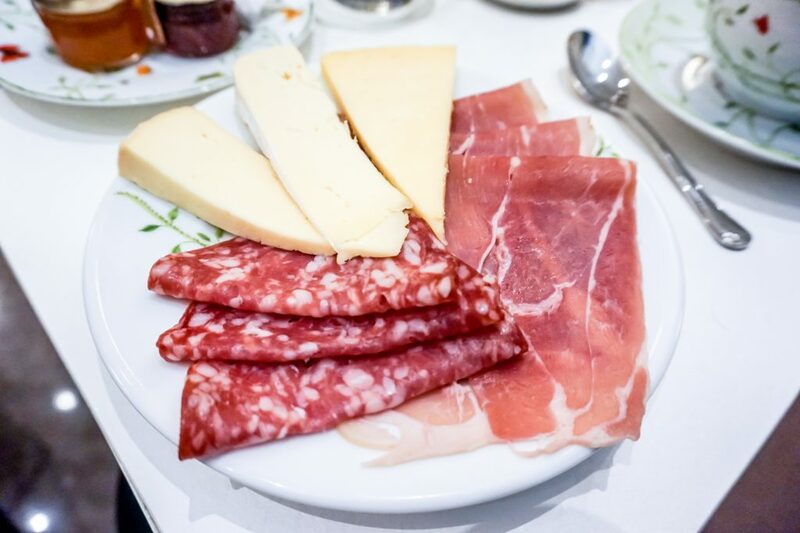 Finally, a delicious selection of cheese and meats. 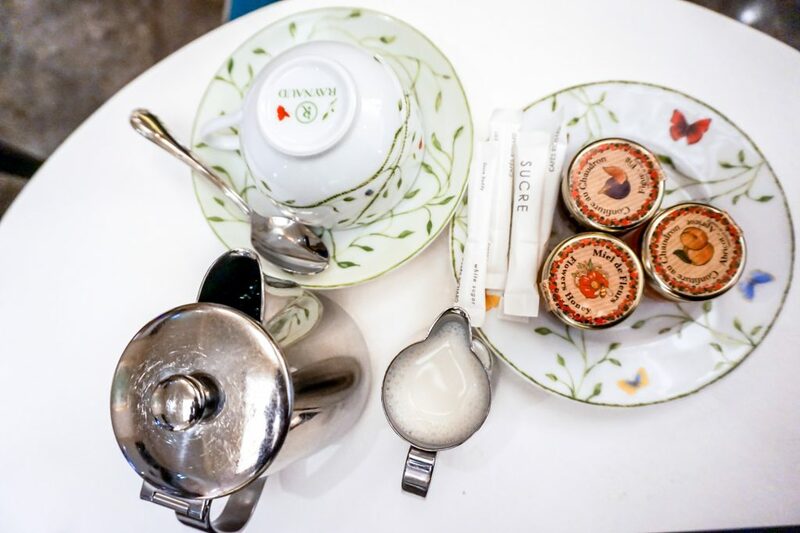 A friendly waiter is here to bring you coffee or tea in the most adorable tea pot. 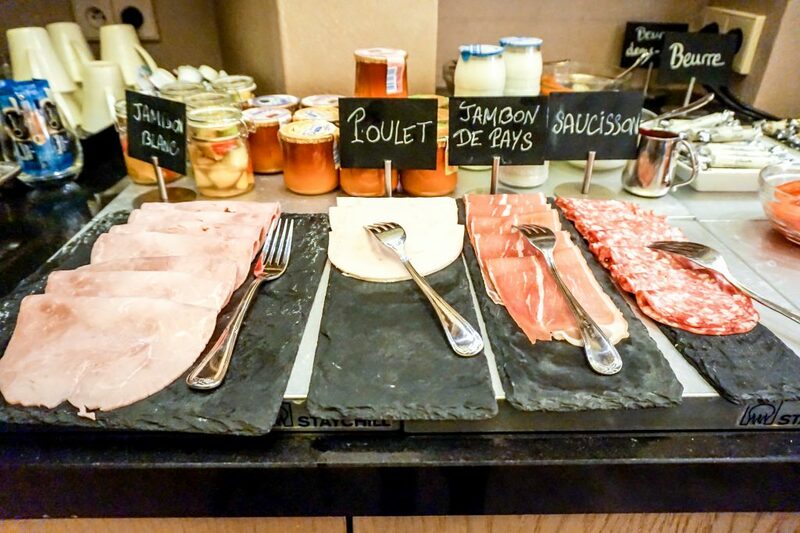 Hotel breakfasts can make or break a stay. Hotel Blamoral is located right by Champs-Élysées and a 2 minute walk from Place de l’Etoile and the Arc de Triomphe. 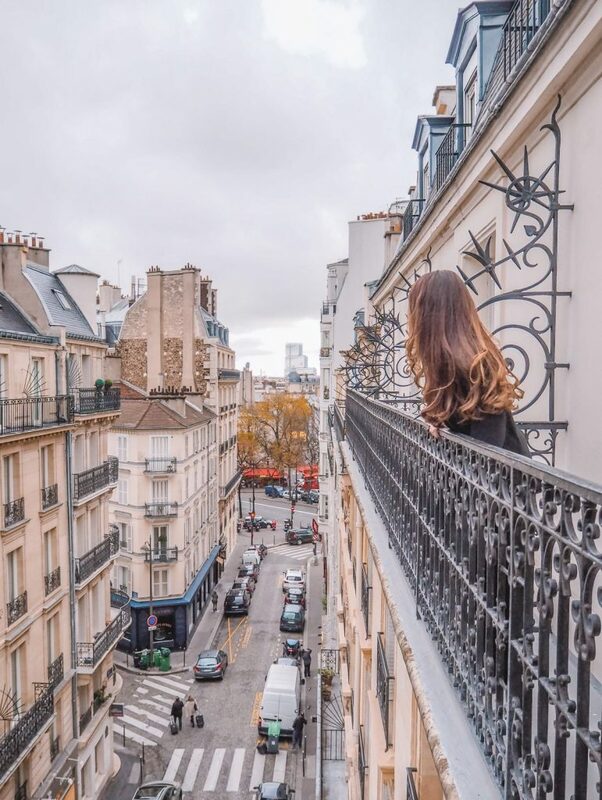 You can reach the Hotel within minutes from the “Charles de Gaulle Etoile” Metro stop, which is incredibly convenient to explore the city. The location truly couldn’t be better.